Below you will find images of interior murals in the manner of Rufus Porter, the Maine painter, inventor, and Jack-of-all-trades. Because scenic wallpaper was too expensive even for middleclass rural families, Porter (who also founded Scientific American magazine and sold his design for a revolving firearm to Samuel Colt) developed a style of hand painted murals that crudely mimicked French papers in a purely American style. 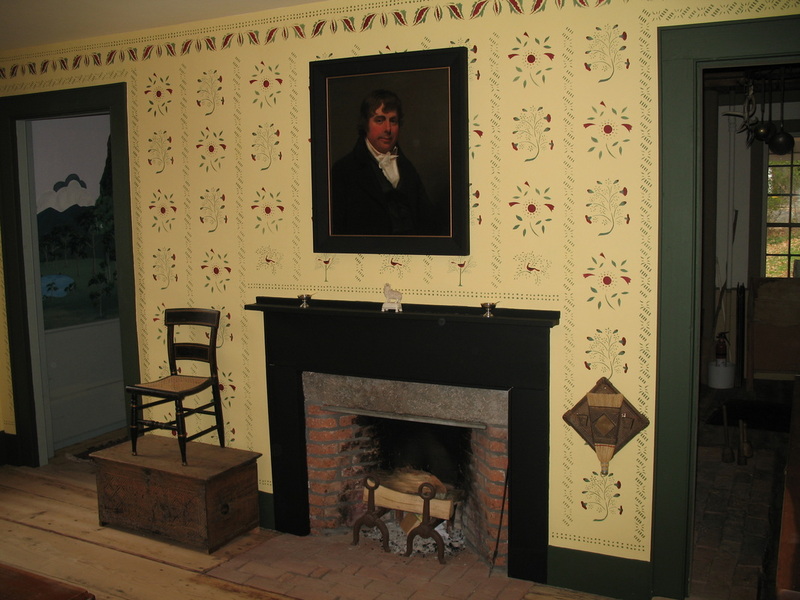 Stencilling was another decorative technique favored in 19th century homes. Using hand-cut stencils the Limner can create a period look in modern homes or recreate a perfect feeling space in your old house. 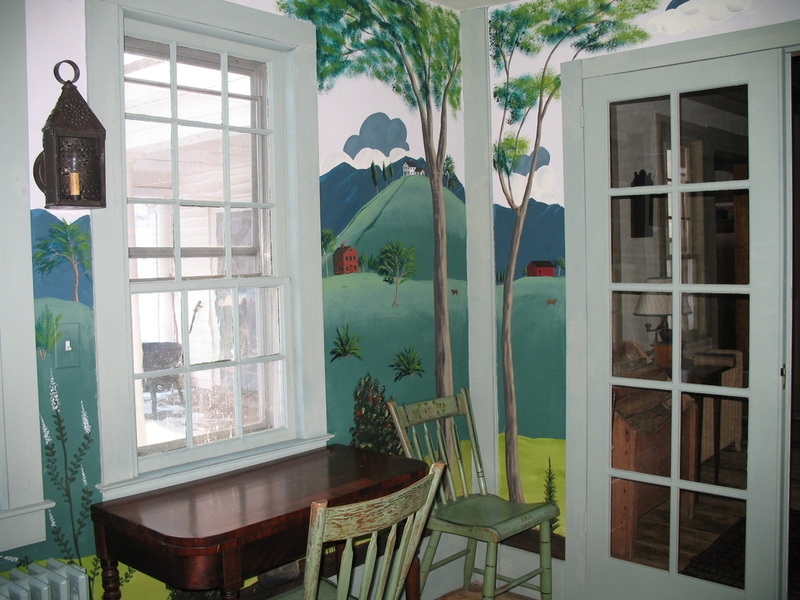 Murals and stencilling work are priced variably based on the complexity, area, and time required. Please call or e-mail to discuss your project. I’m willing to travel throughout the northeast and south to Maryland & Virginia, and West into Ohio.